Sami is creative, bubbly, sweet, and an easy person to approach! She's good at and enjoys writing news stories, and tends to write when she gets the chance. That being said, Sami is a quirky person with many quirky facts to match! This is her second year on the Hi-Rocket staff, she has also been in Girl Scouts for roughly 13 years. She loves to write, draw, and create in her free time. She also loves studying and reading about psychology, and holds a lot of pride in her heart for who she is! 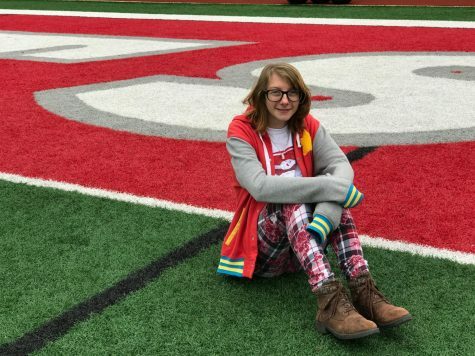 She is the second-in-charge member of the honor guard section in band, and wants you to remember that being in the background and only picking things up and putting things back down is not a bad thing. You still get a lot done!